Fleet managers and business drivers can scope out and test their next company car at June’s Company Car In Action event. Labelled as the UK's most comprehensive driving event for fleet decision makers and influencers, Company Car In Action will give attendees the chance to test around 300 models unaccompanied on four unique and purpose-built tracks at Millbrook Proving Ground on June 12-13th. It is one of few events where fleet personnel can compare, evaluate and drive the latest models in one place. 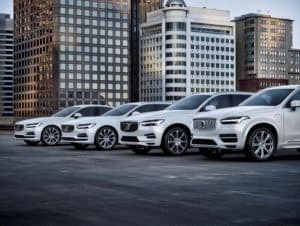 Everyone from Audi and BMW to Vauxhall and Volvo will be bringing along most – if not, all – of their current model range, with a number of models being the first time they’ve been driven in the UK. Some of these first drive exclusives include Volvo’s V60, the Porsche Panamera and Merc’s new A-Class and E 350 d 4MATIC All-Terrain Ed Estate. Aside from having the opportunity to test a range of new cars back-to-back, visitors can meet suppliers and discuss their requirements for the future, as well as enhance their knowledge of low-emissions vehicles and safety/duty of care requirements. A series of debates comprising panels of experts will also shed light on best practice, while experts from Glass’s will be on hand to give free advice on residual values.